Is your kid constantly singing to the radio and interested in playing instruments? Then have a musical party in NY for your child's next birthday! The children will have a blast singing, playing instruments and dancing. You can find all the top NY musical parties on this complete list. Rent a Stage & Music Machine in NY! 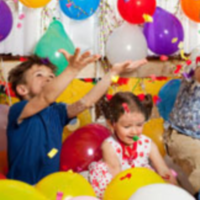 From karaoke machines to kid's party entertainment, you can get everything you'll need for your kid's musical party in NY at Frankie's Carnival Time. They offer all types of rentals and entertainment that will make your kid's NY music themed party unforgettable. Choose to rent a karaoke or music machine, and book some singing telegrams. You can even rent a stage for a musical entertainer. 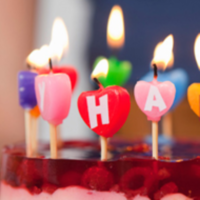 The kids and adults will have an awesome time dancing and singing at your kid's birthday party! Musical Performers & Sing-a-Longs in NY! If you're throwing your kid a musical themed party in NY, then you have come to the right place! 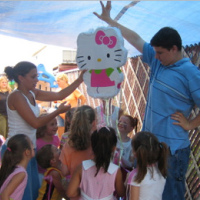 Celebration Entertainment offers a bunch of NY kid's music party services and entertainment, including DJ's, sing-a-longs, musicians, and musical performers. The party will be hopping from start to finish with Celebration Entertainment! This one-stop musical party place in NY is the perfect entertainment service for your kid's next birthday party, so start planning your party today! Interactive Muiscal Activities & More in NY! 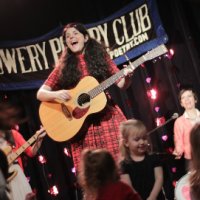 Your kid will absolutely love this musical party service in NY! Legendary Entertainment offers all types of music themed party entertainment and services, including DJ's, MC's, karaoke, dancing, and more. They even give you the option of picking a unique party theme, such as Glee, Justin Bieber, High School Musical, Taylor Swift, and more. Along with dancing and singing, the kids will be having a great time playing interactive games and doing fun party activities. Book your musical party in NY with Legendary Entertainment today - you will not be disappointed! Great Musical Party for Toddlers in NY! With an extensive music and theater background, Marcia the Musical Moose is the perfect entertainment for your kid's musical birthday party in NY! 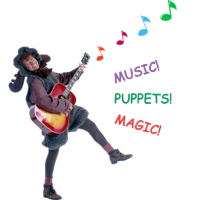 Along with entertaining the kids with her guitar, she will conduct a musical sing-a-long, perform a silly magic show, and will act out a puppet show! From folk songs to nursery rhymes, Marcia the Musical Moose does it all! The little kids will have a blast with her interactive activities and cool party favors! Everyone will Participate in the Performance in NY! When you book your kid's NY musical party with Monkey Monkey Music, everyone is encouraged to dance and sing along to the catchy music! With this interactive musical group, each party will be customized according to age and the wants and needs of each kid. They will sing and play peppy tunes that will make the guests want to sing and dance from start to finish. Not only do they offer quality entertainment for your NY music party, Monkey Monkey Music also offers cool party favors, including their awesome CD, tambourines, and more! Have a Karaoke & Disco Party in NY! As a high quality musical party service in NY, Funbelievable is a great place to call for your kid's next birthday party! Offering karaoke and disco party packages, the kids are sure to be dancing and singing the entire time. The fun party packages offer a variety of karaoke songs, awesome necklaces, inflatable instruments, fun games, and music! If you're have an NY musical party in your home, then Funbelievable is the perfect place for you! Also ask about their unique party favors and other party package options. Have a Music Video Party in NY! 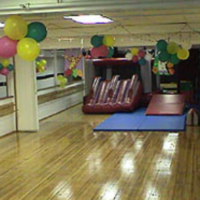 As a top NY musical party place, American Dance & Drama Studio offers all you could want and more for your kid's birthday party. The kids will have a great time singing, dancing to a DJ, having dance contests, and even making their own music video! After perfecting a dance routine to their favorite song, the party guests will perform their dance on stage in front of a camera! Not only does American Dance & Drama Studio offer fun and entertainment, but they also offer food, drinks, paper goods, cake, and other cool activities, such as face painting and temporary tattoos. Get a DJ & Party Favors in NY! What is a music party without a DJ? 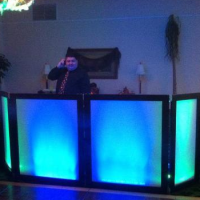 Hire Double Image Sounds & Entertainment to provide the musical entertainment for your child's music party in NY! The professional entertainers will keep the children on their feet with interactive games and dances, such as the chicken dance, the hokey pokey, and hula hoops. Don't worry about finding cool party favors elsewhere - Double Image Sounds & Entertainment has a party favor store that is sure to have everything you need for your kid's birthday party.